This year’s first RIGeL Summer School took place in the monastery of Niederalteich from 21 to 23 June. This was a really successful and relaxed retreat of PhD students of all RIGeL sections with lots of fun and scientific discussions. On Thursday we left at 8.00 h in the morning to Niederalteich. As a “warm-up phase” we had a team-building event from 10.00 to 13.00 h in the garden of the monastery. In five different teams we had an archery challenge to train our team capability and to get to know each other better. During this three hours we had lots of fun and also became familiar with different techniques of archery. The three best teams with the most points were awarded - consistent with the event - with “Rittersport” chocolates. After a short coffee break with pretzels our scientific program began at 15.00 with the presentations of the RIGeL organizing teams. They gave an insight in their activities and also the PhD representatives introduced the most important issues regarding the RIGeL program and Leistungsheft for new PhD students. After these opening remarks the program continued with the firs talk session. On this first day of Summer School the guest lecture was given by PD Dr. Tim Maisch from the Department of Dermatology of the University Hospital of Regensburg. He talked about new antimicrobial techniques in the fight against multi-resistant pathogens. After dinner we had a short walk to the nearby Danube and closed the day at the beach with some beer and wine and nice conversations. The second day began with the sponsored method lecture of GE Healthcare. The company provided participants of the Summer School with useful information on cell therapy manufacturing. 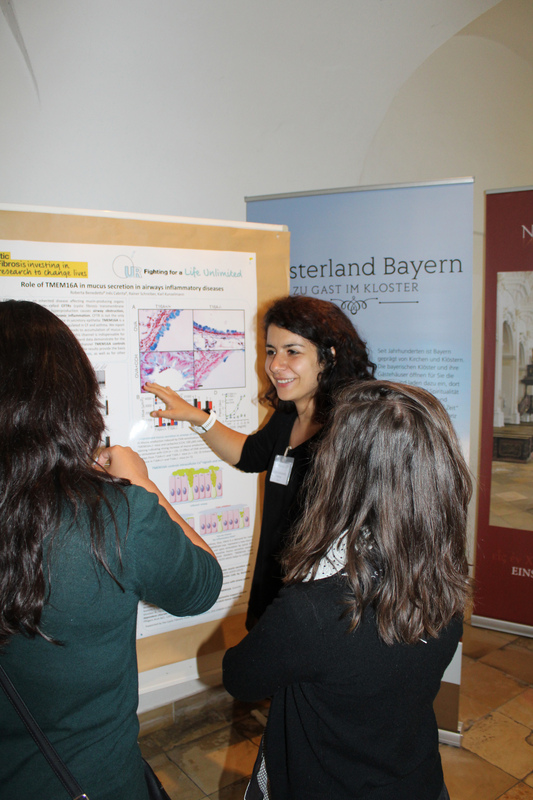 Until 16.00 we had really interesting poster presentations and talks given by the participants. It was a good mixture of topics from different sections, fields and departments. 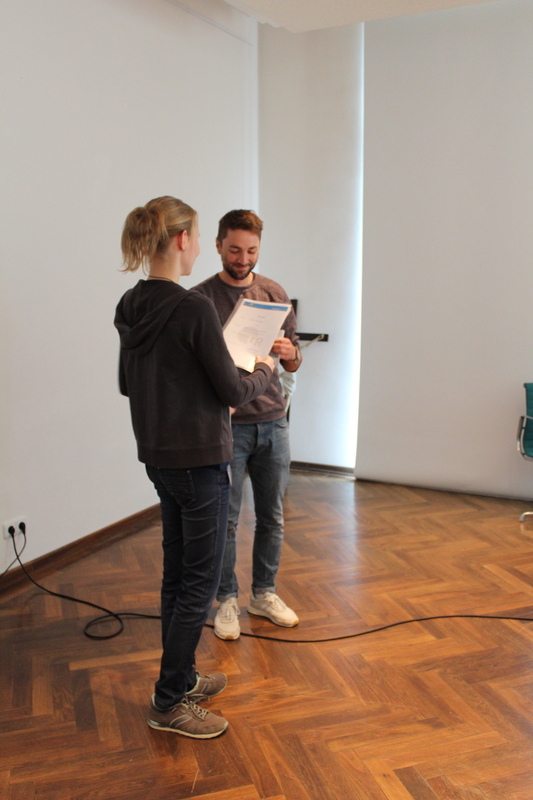 Participants of the Summer School had also the possibility to evaluate the presenters by evaluation sheets. Everyone had three talks or three poster presentations to evaluate. The evaluation was anonymous and the filled out sheets were handed out at the end of the Summer School. From the late afternoon there was enough time for socializing, taking a walk or chatting in the courtyard of the monastery. On Saturday we closed the Summer School with the last talk session and the last two poster sessions. After lunch the poster and talk prizes and questioner prizes were awarded. The department of Biochemistry II (Prof. Sterner) swept the board in the most scientific questions. Florian Semmelmann, Enrico Hupfeld and Michael Schupfner won three of the five questioner prizes. The two other questioner prizes gone to Jan Bartel (Internal Medicine III - Prof. Rehli) and Stephanie Blaimer (Experimental Surgery - Prof. Geissler). 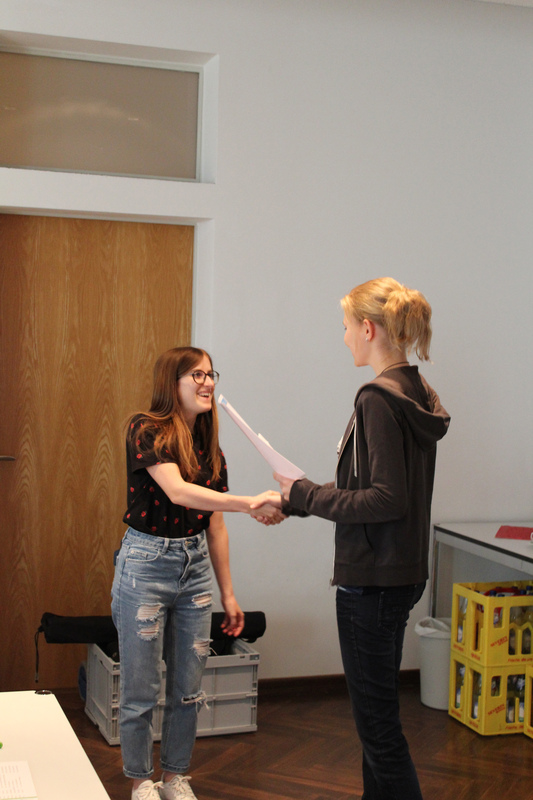 The best poster prize was given to Claudia Latini (Biochemistry I - Prof. Meister) for her poster “Identifi cation of circular RNA degradation pathways”. The best talk prize had to be drowned by lot, since two participants had the same number of votes. After he won the best poster prize in Weltenburg last year, Felix Grünberger (Microbiology - Prof. Grohmann) was awarded the best talk prize for his talk "Nanopore sequencing of a new full genome annotated version of Pyrococcus furiosus”. Afterwards he kindly shared the 50 Euro Altstadt Zehner gift card with Florian Semmelmann, who had the same amount of votes for the best talk. After the closing remarks we started back to Regensburg at 14.00 so we were at home in time for the match Germany vs. Sweden. All in all, it was a really nice and relaxed Summer School with good weather, interesting distributions of the participants and a lot of networking. We are looking forward to our next Summer School in September!